Silver trading can be done in many ways. 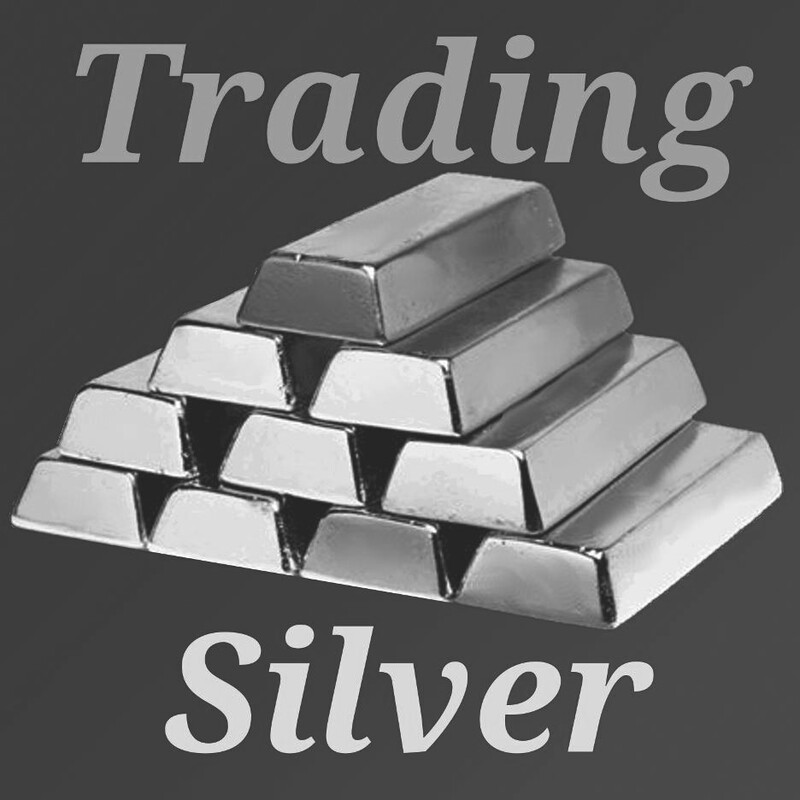 Many trade silver ETFs, stocks, futures or options. You probably wouldn't want to trade physical silver because of the excessive fees. This article will cover the basics of a simple technical indicator used for trading silver ETFs. Silver is and will be a wild ride. If you are just learning how to trade you may want to start out trading something like oil - less short-term volatility. Governments can print unlimited amounts of money. There is a limited supply of silver on the planet. The supply and demand of silver outlined by these long-term factors should lead you to bet that its price will go up more often than not over time. Buy when you think the price of silver is going to rise, sell when you think it is going to fall. To buy and sell silver, what you really need is a plan. Better yet you need a trading system. The easiest system to follow uses a technical indicator called the "200 day moving average." The 200-day moving average is simple to use if you are trading, for instance, iShares Silver Trust (SLV). If the price of one share of SLV is greater than its 200-day moving average - buy. If the price of one share of SLV is less than its 200-day moving average - sell. Instead of calculating the 200-day moving average yourself every day you can use StockCharts.com to plot it on a graph for you. See this chart of SLV's recent closing prices with its 200-day moving average (and other technical indicators). As you can see from the chart, the SLV prices (shown as candlesticks) can be above or below the red line (200-day moving average). When the candlestick patterns are above the red line of the graph you would buy SLV. You would sell SLV if the candlesticks moved below the red line. Using the 200-day moving average is the first step of developing your own personal silver trading system. EtfTrends.com says that you should ONLY buy an ETF when its price is above the 200-day moving average. After buying, you should sell if the ETF price drops from its peak by 8% or goes below the 200-day moving average. You are trying to use the trends here. Don't try to predict the future. Maintain your discipline. There are many technical indicators besides the 200-day moving average. There are several available by default in the StockCharts.com graph linked to above. For instance the 50-day moving average, the MacD, and Volume. These and many more indicators are used by silver traders all over the world. Warning: Do not get too complicated. Pick a few simple indicators and learn them well. You will be better off. To learn about trading systems (or create your own) for silver and other asset classes check out TradingSystemLife.com or pick up a copy of "Trading for a Living" by Alexander Elder. For those of you who are serious about trading silver there is a study guide for this as well. Elder has written several books on technical trading. Silver trading can be really fun, not to mention profitable. The trading system you use will be determined by how much time you have. For a busy person, when your ETF is above its 200-day moving average - buy. When its below - sell. Keep your eyes on the news and adjust accordingly. Good luck!